The City of Savannah held a neighborhood sign unveiling for the Woodville neighborhood Wednesday afternoon. The neighborhood is located between West Bay Street and Louisville Road and bordered on the west by the Dundee Canal and on the east by Lynes Parkway. The new sign is located at the intersection of West Bay Street and Lissner Avenue. It was built with SPLOST (Special Purpose Local Option Sales Tax) funds at a cost of $4,341.22. The City of Savannah’s Capital Projects team designed the sign and the contractor of record is Sign D’sign. 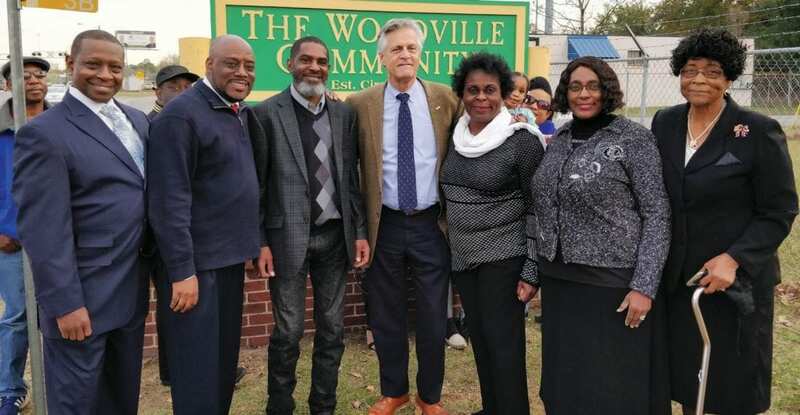 Savannah Mayor Eddie DeLoach, Mayor Pro Tem Carol Bell, and District 1 Alderman Van Johnson, who represents the Woodville neighborhood, attended the event. District 5 Alderwoman Dr. Estella Shabazz and other City officials and residents also took part in the well-attended event. The Woodville neighborhood is an established neighborhood that dates back to the 1870’s. The Woodville Community Action Organization was formally organized in 1968 with Charlie Bryan serving as President until 1992. Pastor Juanita Edwards, who attended the event, served as President until she was succeeded by Ware in 2012. 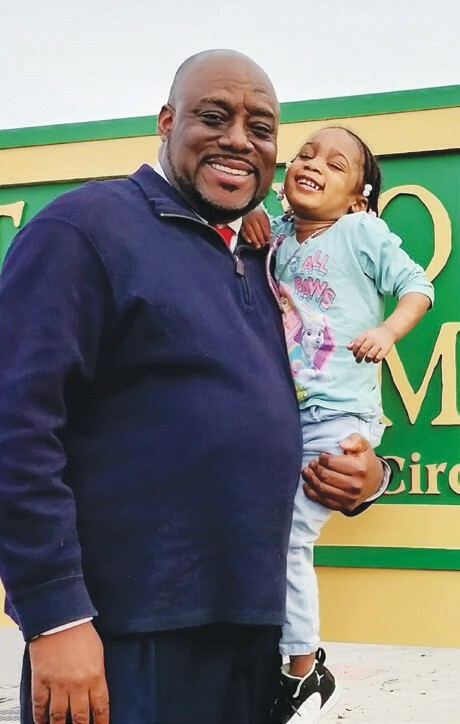 “Community engagement works because this is a sign the Woodville community said they wanted,” said District 1 Alderman Van Johnson. “They said they wanted a sign to not only welcome people to this community but to also show the depth and faith of their community.” Constructing the neighborhood sign aligns with the City’s Savannah Forward strategic plan priority of Neighborhood Revitalization. Neighborhood signs promote a sense of pride and identity for communities.